"I reckon the fellows will turn out to see us tomorrow night, Teddy." "I hope so, Phil. We'll show them that we are real circus performers, won't we?" Phil Forrest nodded happily. "They know that already, I think. But we shall both feel proud to perform in our home town again. They haven't seen us in the ring since the day we first joined the show two years ago, and then it was only a little performance. 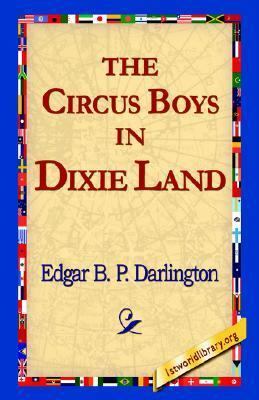 "Darlington, Edgar B. P. is the author of 'Circus Boys in Dixie Land ', published 2005 under ISBN 9781421811215 and ISBN 1421811219. Loading marketplace prices 136 copies from $13.48 How does the rental process work?